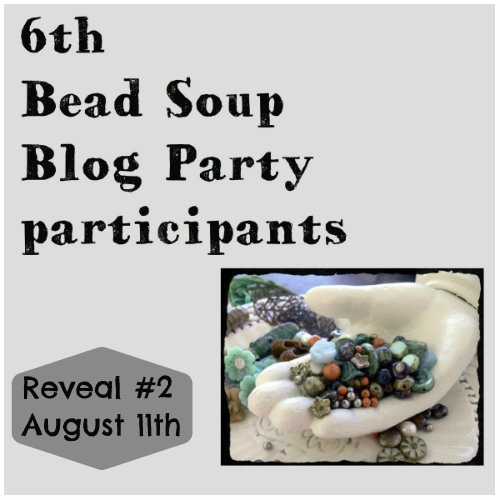 …bead soup! This is a sneak peak at what’s in the helping of soup that is about to land on B’s doorstep in Texas. I hope she will like the colors of the sea in the batch of goodies I sent to her. It’s fun to think of beads flying around the world to surprise the 399 people who signed up for this event! 399! I don’t know how Lori Anderson does it, but she has paired us all up and given us reveal dates to show what we have made with the beads that are headed our way from our BSBP partners. 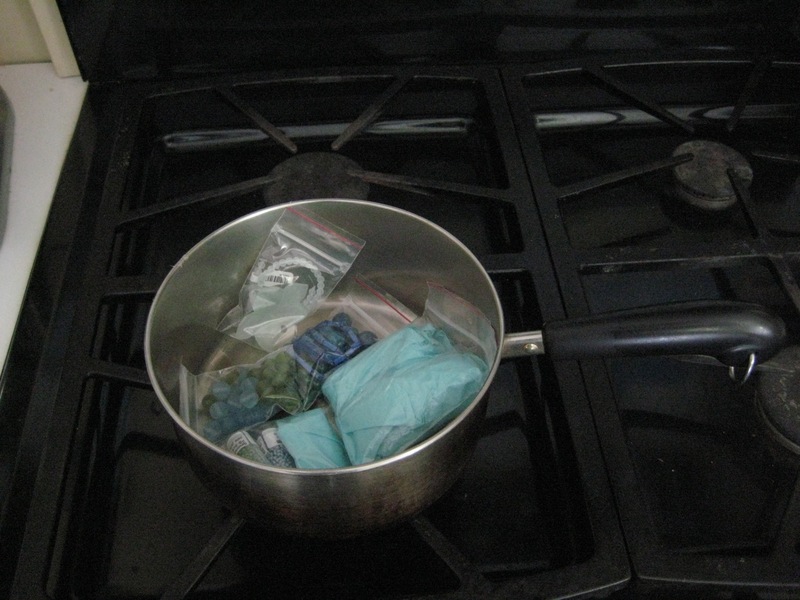 There will be a lot of creative cooking going on in the next few weeks! If you want to check out the blogs of people in my reveal group just start clicking the links below. Lois Moon, Que Onda, Q’Town? Sandra Young, It’s a Bead Life! Love how you propped your pic!! The colors are just beautiful! Ha ha, thanks Patti. Just a quick shot before I sent it off in the mail. I love the colors too.